Lt. Col. (Ret.) 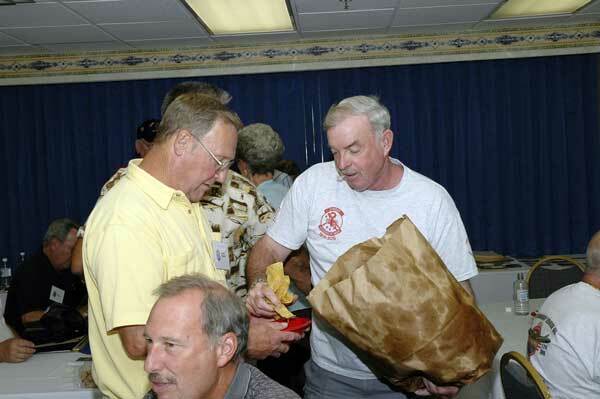 Steve Mac Isaac, Reunion VII Coordinator, fills a bowl for Tom Jump with taco chips from a very well known Mexican restaurant in Albuquerque, El Pinto. The restaurant is so well known for its excellent Mexican food, the Bush's have dined there. 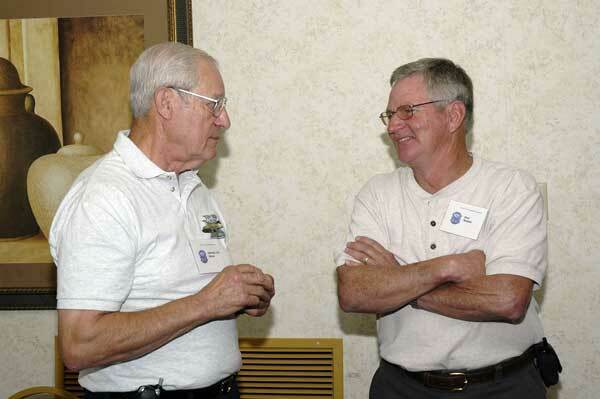 Al Heuss (pilot, Nha Trang) and Don Weber (flightline, Nha Trang) reminisce. Several of the Phan Rang flightline maintenance gang took a side trip on Saturday afternoon to Albuquerque's Old Town. 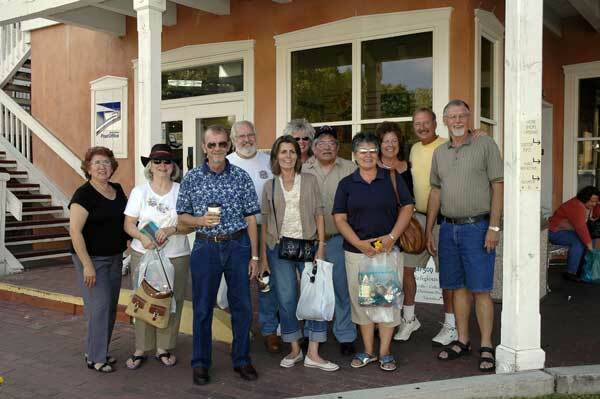 (L to R) Thelma Alfaro, Judi Alvis, Phil Wheatley, Earl Wall, Lourie Wheatley, Dixie Wall, Mario Alfaro, Karen McDonald, ?Bonnie Middleton, Larry Middleton, and Jerry McDonald. 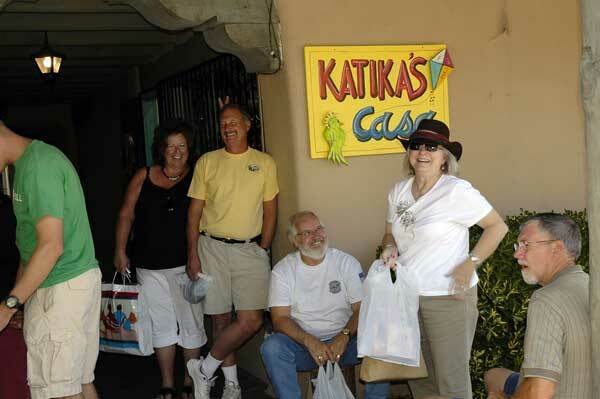 Albuquerque's Old Town was a fun place for shopping and local music. The 71st guys do dress up a bit for the Saturday evening banquet. 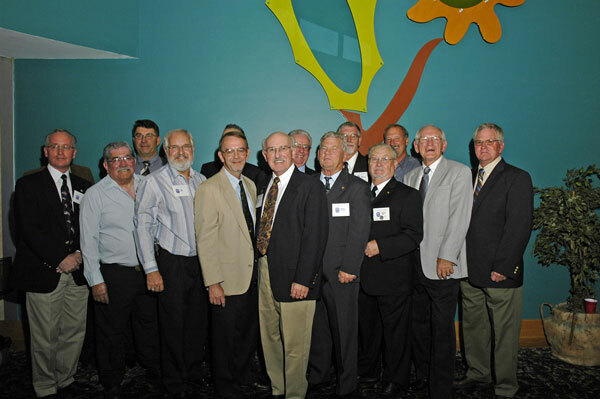 (L to R) Leroy Frahm, Mario Alfaro, Dan Mages, Earl Wall, Phil Wheatley, (behind Phil is Jack Study), Jim Alvis, Don Brogan, Harold Morgan, Larry McDonald, Bill Tyler, Larry Middleton, Jack Bastin, and Don Weber. This photo shows 14 of the 24 71st guys that attended.